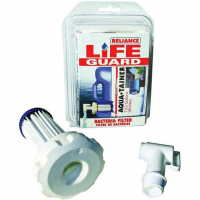 Reliance Aqua-Tainer - 7 gal. 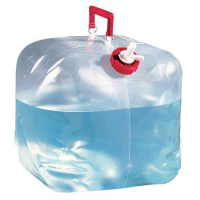 Carry and dispense water conveniently in this handy Reliance Aqua-Tainer 7 gal. storage container. Reliance Aqua-Tainer Water Container - 4 gal. With an ergonomic handle and premium screw-on vent cap, the rugged, rigid, BPA-free Reliance Aqua-Tainer water container offers a compact size and hideaway spigot for easy carrying and storage. Ideal for use with the Reliance Luggable Loo(R) (sold separately) and other portable toilets, these waste bags ease disposal. Ideal for use with the Reliance Luggable Loo(R) (sold separately) and other portable toilets, the Reliance Double Doodie waste bags with Bio-Gel ease disposal. Whether you're fancying up your trowel hole or using the Reliance Double Doodie bagging system, the Reliance Fold-To-Go portable toilet offers collapsible convenience for your backcountry campsite. 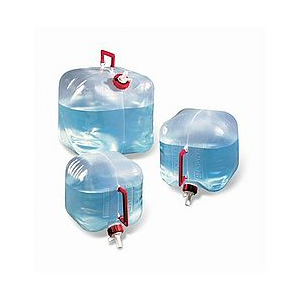 Reliance Jumbo-Tainer Water Container - 7 gal.